Bibliographic references and articles available for download. 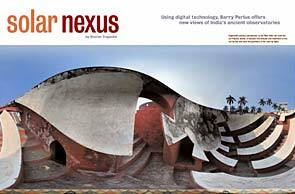 Text and photographs by Barry Perlus. In this richly illustrated article, written in 2005 the author gives a history of the observatories and explains the principles and details of their operation. 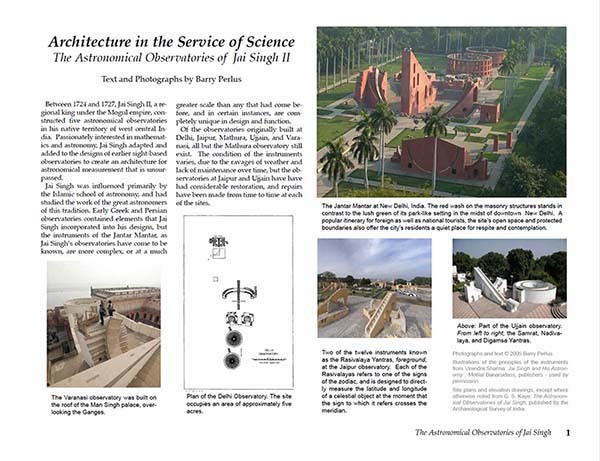 Includes a section on the panoramic photography used by the author to create this web site. Article by Sharon Tregaskis withphotographs by Barry Perlus. Originally published in the July-August 2003 issue of Cornell Magazine (used by permission).